Honda Vintage Culture RA271 Inverted Tee RCT-02 - King Motorsports Unlimited, Inc.
Semi-fitted lightweight tee, tailored to our specifications with a woven label and multi-colored branding. Made from a special blend of cotton and spandex for a soft, comfortable fit. Graphic is lightweight and smooth to the touch. Honda’s Formula 1 debut was on 2 August 1964 at the famed Nurburgring, just 1 year after they began producing automobiles. The RA271 was piloted by American Ronnie Bucknum and was powered by a revolutionary 1.5 L V12 that revved to a staggering 16,000 rpms. 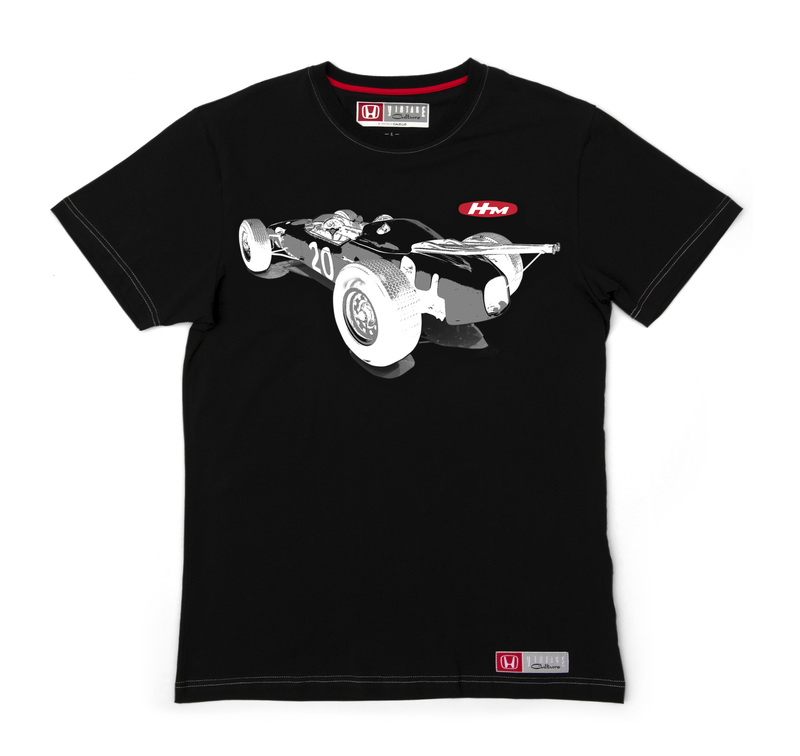 This bold, graphic print pays homage to this daring, beautiful and revolutionary racecar.